Manufacturer of motor oils in America. 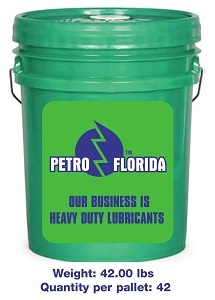 PETROFLO “POWER PAK” Multi-Vis Oils are highly refined paraffinic case oils, compounded to exacting specifications. They have a natural high viscosity index, and a highly superior additive package that protect against rust, corrosion, oxidation and wear or moving parts. A detergent dispersant provides control of sludge and varnish. Dispersant additive keeps harmful dirt particles suspended in oil. PREMIER PLUS, EOM PLUS and API, CI-4, CH-4, CG-4, CF-4, CF-2, CF, SJ, SH, MIL-L2104 G and CID A-A 52306.